Since it made its entry into the Casino scene back in the 1970s, video Poker has gone from strength to strength to become one of the most popular gambling games. 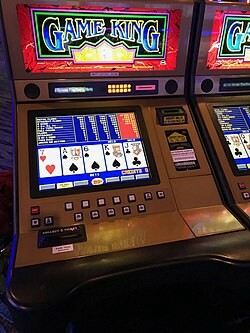 Video Poker is one of the few Casino games that not only offer some of the highest odds in Casino gambling but it gives you also the chance to influence the game’s outcome. Yes, your skills can make a difference. Playing video Poker is simple. Video Poker uses a standard 52-card deck. After you make your wager and press the “Play” button, the machine randomly gives you five cards. At this point, you need to choose which cards to keep and which cards to throw away or discard. To keep them, tap on the pictures of your chosen cards on the screen. Once you have made your pick, press the “Draw” button for the machine to randomly replace the discarded cards. In this exciting game, your winning is based on ending up with a Poker hand such as flush, straight, two pairs, or even a royal flush. Always keep in mind that the amount that you win per hand depends on the Poker value of your hand and the posted pay table of the machine you’re playing. One of the most important things to know on how to beat video Poker is that you have to make a wise decision on which of your dealt five cards to keep and which ones to discard. Remember, making the right decision from the word go will give you the best chances of winning even a Jackpot.